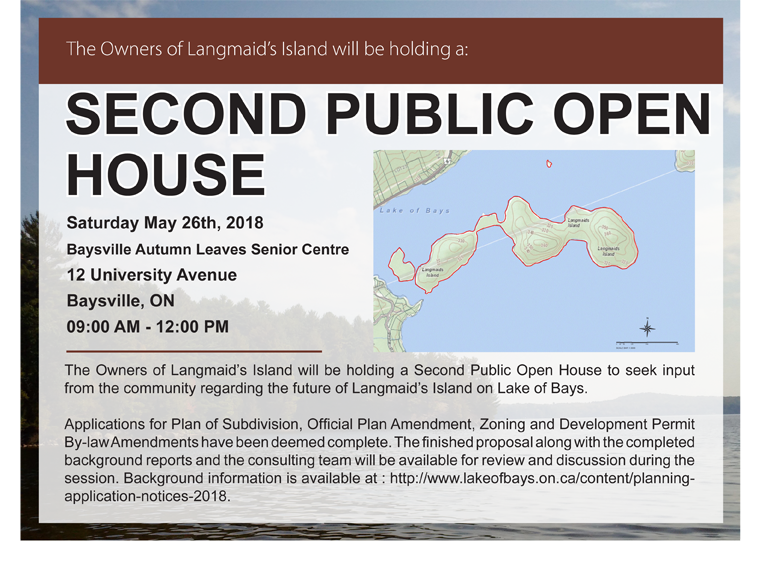 We wanted to let you know that our next Public Open House will be held May 26. We look forward to continuing our dialogue with the community and to answer any questions. As always, you are welcome to reach out to us directly at info@langmaidsisland.com.